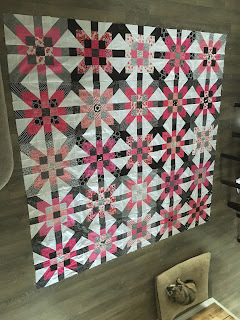 This is my ribbon start quilt. I requested this when I was Queen bee in my quilt bee. These are all my blocks. 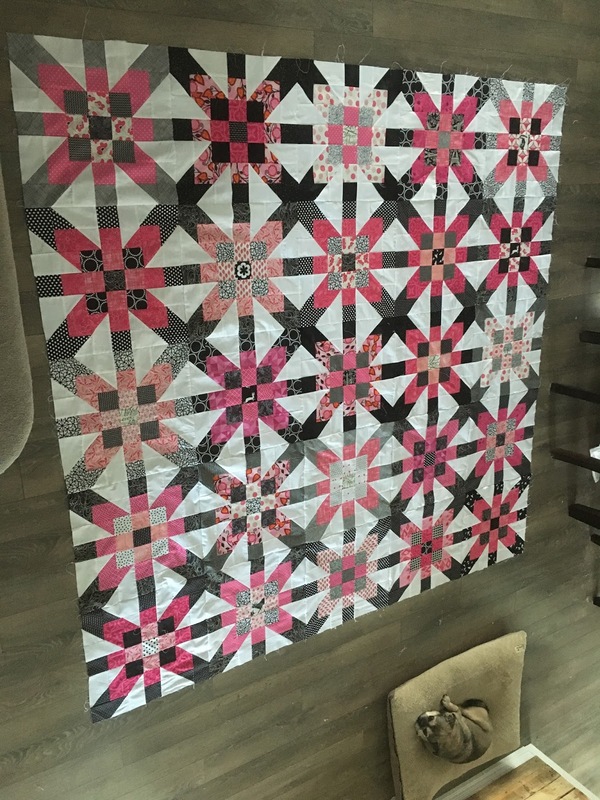 The quilt top is now together, just need to decide on backing. The pattern for this block is from Freshly pieced and is a stunning block on it's own. I hope that your husband recovers from his surgery very quickly. You have some wonderful (and huge!) quilt tops finished. 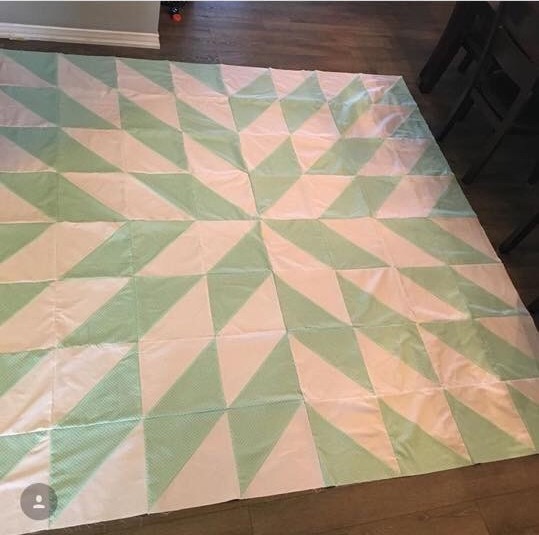 I can't wait to see how you quilt them.